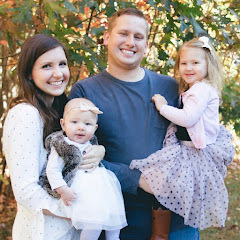 My super sweet + crafty friend, Danielle, started her own etsy shop selling bows! Need I say more? Bow obsessed over here. 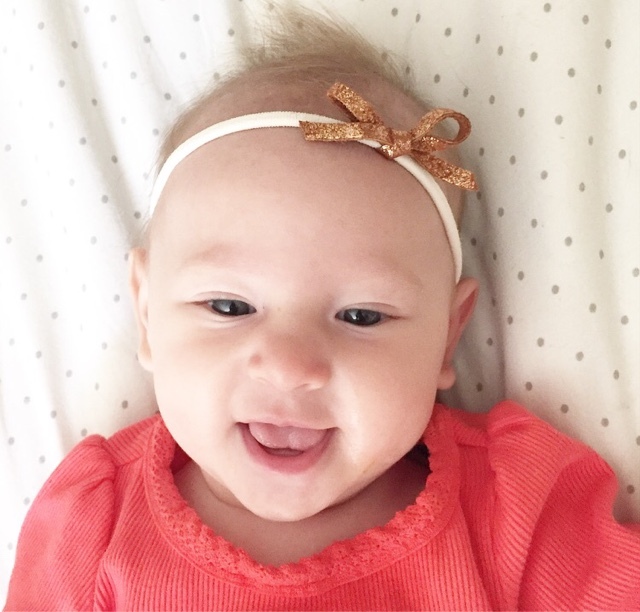 She's got a large selection in a variety of different styles + colors, including my favorite combo (leather on nylon headbands - these things really do stretch as your baby's head grows)! They're really all so cute so I'm pretty sure you'll find something you love for any little lady in your life. Her bows come in adult sizes, too! These days my idea of "doing my hair" involves air drying, and the only hair product I add is maybe a little bit of Ellie drool, but I do love the idea of wearing a bow - mama + mini style all day! 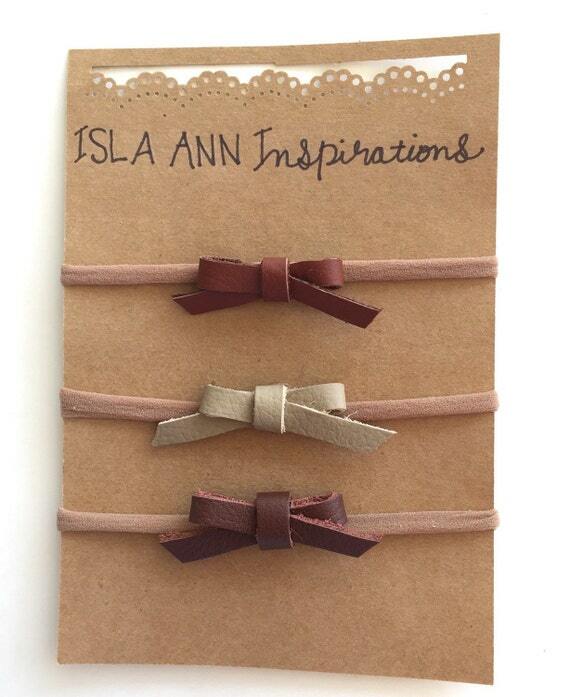 ;) Her bows are very reasonably priced, and you may or may not find a coupon code on her shop's Instagram page (@islaanninspirations), so be sure to follow along! Ellie is so excited to get her first order - she told me so. ;) I'll be sure to share pictures when we get our pretty new accessories! I saw this blanket and think it would be so perfect for Ellie's "big girl room", as I've been calling it even though she will be one and definitely still very much a baby. Regardless, as of now, it will totally fit the theme I'm thinking of for her new room! It looks SO soft, so I would probably end up stealing it myself. Unless my cats get to it first. My cats will definitely get to it first. We are really trying to be responsible adults and stick to a budget-ish, but I've got some gift cards burning a hole in my pocket and am in love with all of the new arrivals at J.Crew Factory. I will have to narrow down my choices a bit, but some of my favorites at a first glance include this ruffle-hem sweatshirt, this striped sweater, and this striped tee (stripe obsessed). I have a feeling there will be some good sales for the holiday weekend everywhere, so I'll be keeping my eyes peeled! Oh you could absolutely DIY (with the help of Tyler's mom ;) ha) for much cheaper!! My mother in law does a lot of sewing too & has made the kids tons of blankets. I can handle small projects with minimal sewing but something like that...Mmm not so much!